Later I added a monopod to use the combo as a "leaning tripod (or quadrapod to be precise)" which is hande when you shoot over a fence. 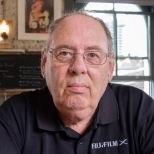 With a tripod, it is tricky to set the camera pointing downwards over the fence, because the tripod head will stay away from the fence when it is set normally. The images were shot with my iPhone SE, but you would see how it is set up. 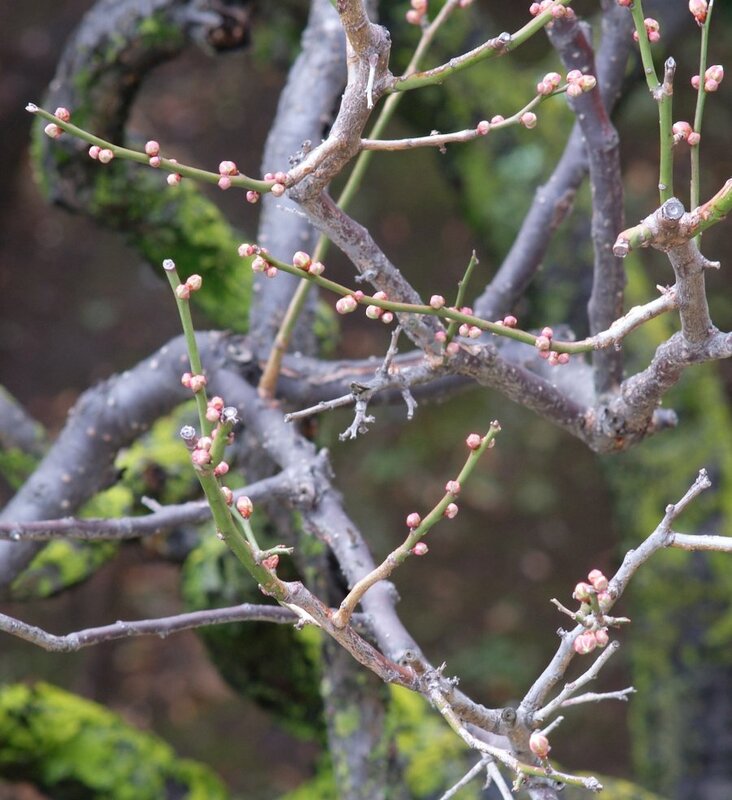 The shot image with the rig was the soon-to-bloom buds of Japanese white apricots. Shot with Fuji X-E3 with Ai Nikkor 200/4.0@f11 attached via Rayqual adapter. The RAF file was processed in Capture One Express. I find myself in similar shooting situations regularly with my property photography, Akira. It's always nerve-wracking for me to lean my tripod against railings though! Dallas, you could use a sheet of rubber between the feet (or the legs) of the tripod and the railing to avoid scratching it, if that is your concern! Dallas, I do believe Akira is showing a monopod! Akira can we expect some of your skyline photos again? The Apricot blossom shot is an expectation of what is to come! Mike, I'm glad you liked the apricot shot and thank you for the encouragement for the pano shots! Although I ditched Photoshop CC with its excellent Photomerge, I can use Microsoft Image Composite Editor. Unfortunately, I haven't encountered any interesting scenes recently and haven't used my new X-E3 for the panos. But I would be willing to post some whenever the chance arises! Monopod, tripod... dangling over the edge of a vast drop evokes the same tension, I'm sure.